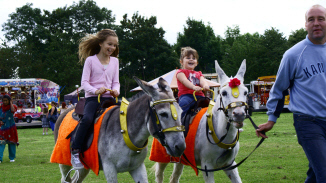 Holbeck Gala is run entirely by local residents who could use a helping hand. From cake baking and spreading the word to stall management and entertainment, find out more about how you can get involved. Whether you want to be a stall holder, entertainer, artist, historian, face painter, organiser, or can help in any other way, we want to hear from you. Everyone's help, in whatever capacity, is very much appreciated, but sadly, without it, Holbeck Gala may become a thing of the past. Currently we are busy trying to make this years gala better than ever with more stalls and more attractions. If you can help by making donations of second hand books, bottles of wine, and on the day cakes, this would be very much appreciated. Also, if anyone wants to make money donations these would also be most welcome. Please contact Kate via our Contacts page.